UNESCO director Irina Bokova calls cultural diversity: “the promise of renewal and dynamism, and an engine of innovation and development.” In the world of today, original and traditional knowledge of indigenous societies can contribute to the planet’s modern vision on technology, science, medicine and provide outstanding examples of sustainable living. Join us on this journey and help us empower indigenous cultural expression, by creating a document of traditions, stories and faces before our world has forever change. The Jimmy Nelson Foundation finances projects that capture the beauty of our world through photography, film and storytelling. We nurture talent and offer a unique digital platform to share these projects and inspire for further participation. Essentially, our goal is to encourage people to find pride in their cultural heritage and to celebrate cultural diversity. The projects take place during cultural festivals and celebrations around the world; we do this, in order to document the world’s last indigenous cultures from their own personal perspective. Hence, the projects are carefully designed to bring people together and form a basis of mutual respect and understanding for all humanity. The Jimmy Nelson Foundation empowers cultural expression. Within our philosophy we want to celebrate culture and give indigenous people worldwide the positive visibility they deserve. “Circle of Cultural Connection” The idea of the Circle of Cultural Connection began in 2017 when Jimmy started using a 360-camera on his journeys. People in their most colourful appearances were dancing or sitting around the camera, creating a circle. The powerful part of it was that the people of the circle were connected not only in the moment, but also in their heritage and in their mutual celebration of it. Once Jimmy was back home, he made his audience “digital travelers”. We found the circle to be symbolic for culture itself. It also represents what is inherently part of each other: the circles of life, birth to death, to life again. The circle is a continuation, it signifies remembrance, tradition and heritage –the part of us that is eternal. So when are cultures at their most celebrative? Cultural festivals and gatherings are fireplaces of people coming together in celebration of their heritage. By documenting this, we aim to capture a vivid expression of the ethnic group in cooperation with them. Cultural Festivals and Gatherings are not only about celebration, but also about bringing people together. Therefore, we are investing in connection. For people around the world the festivals and gatherings become an interactive place, where culture can create bonds and unify individuals. The outcome of the project is a “unique digital platform” of stories, photos and videos. Each project takes place in a different area of the world. With the help of our Friends of the Foundation, sponsors, volunteers and other donations, we hope to realise a minimum of three projects per year. The Jimmy Nelson Foundation documents cultural festivals and gatherings through the eyes of indigenous people. We finance projects worldwide that give indigenous cultures a platform to share their stories and promote pride, celebration, and positive self-image. With your contribution you foster an appreciation for cultural diversity and help to connect people from different cultures to learn from each other’s knowledge. Become a Friend of the Jimmy Nelson Foundation or Donate. 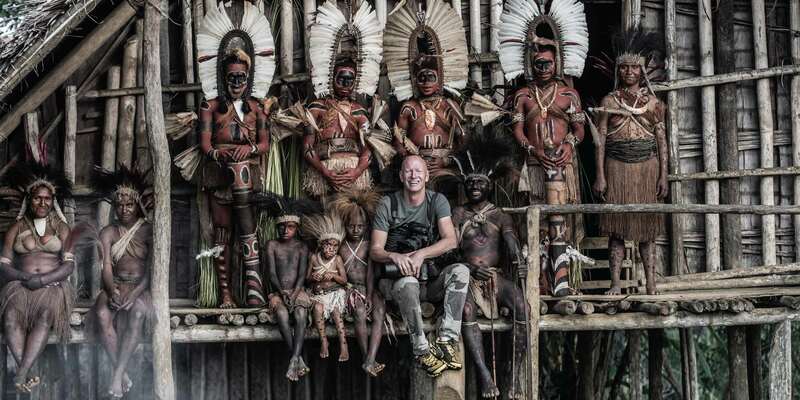 The Jimmy Nelson Foundation projects take place in cultural festivals and gatherings around the globe, with the aim of documenting the world’s last indigenous cultures from their own personal perspective. Our mission is to record the pride that lies beneath these diverse peoples which will bring us back together and form a basis of mutual respect, and understanding for all humanity. Have you ever felt the urge to join Jimmy Nelson? Are you passionate about indigenous cultures, photography, and traveling? Then, we are looking for you! To know more about how the Jimmy Nelson Foundation works, you can read our public policy plan. 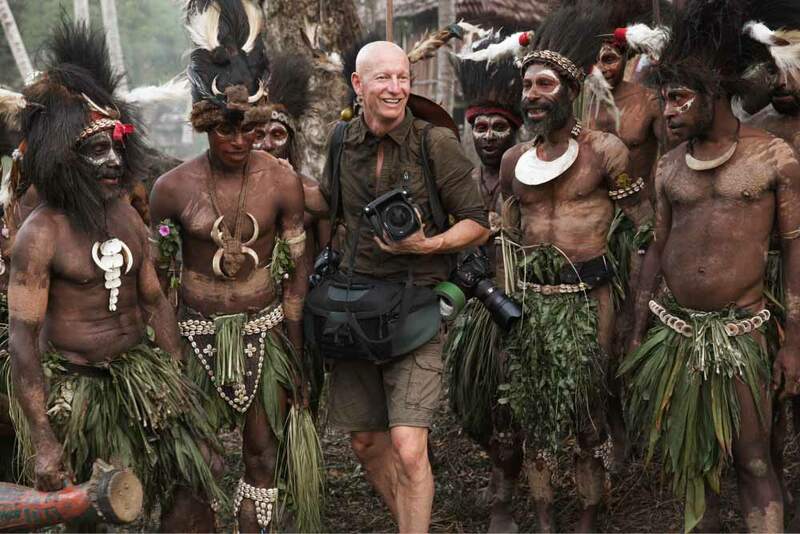 The Jimmy Nelson Foundation is linked to Jimmy Nelson Pictures BV. and we have carefully defined this relationship. We are committed to transparency and share our financial statements with you. Should you have a complaint, please send us an email to info@jimmynelsonfoundation.com All complaints will be logged and responded within four weeks.